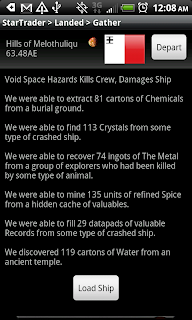 Star Traders 4X Empires v2.6.7 Released! This weekend's update includes a host of improvements based on player feedback. We're always working to stay close to the community and to your requests, and to make sure we are continuing to improve the game. This one is full of UI and quality-of-life upgrades, including better path rules and weighting in the algorithm, clarified display in the all colonies screen, fixing a bug with the Confirm End Turn option, and improving issues with text wrapping on some resolutions. We've also made some tweaks to the political simulator in the early game to help reduce the chance of a nasty political wave crippling your youthful empire.